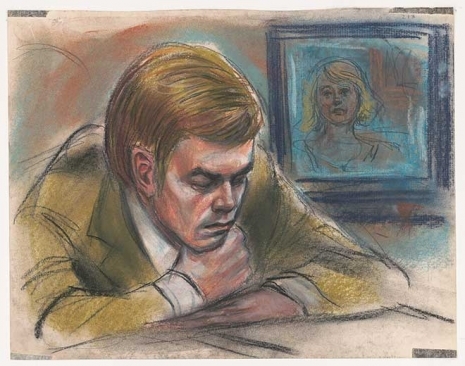 John Hinckley, failed assassin of Ronald Reagan, shown by artist Freda Reiter in front of a television broadcasting his obsession, Jodie Foster. Courtroom sketches in the United States date back to the 17th Century Salem Witch Trials, and were a necessary staple of reporting on court cases up until recent years when the courtroom was off-limits to photographers and television cameras. It wasn’t until 2014 that all 50 states allowed cameras in the courtroom, though by the late ‘80s most states already had. 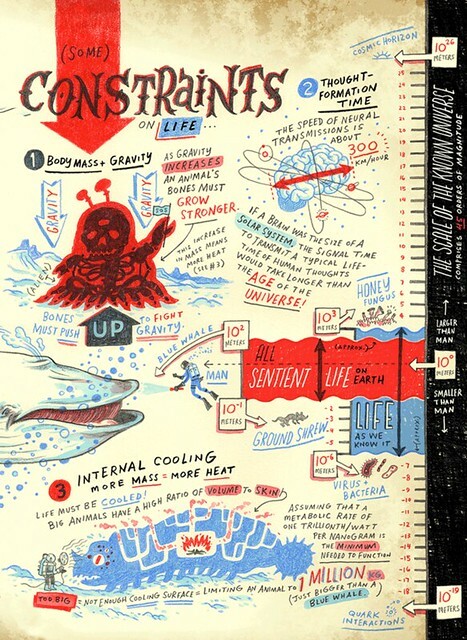 As portraits that exist solely out of the necessity for historically documenting legal proceedings, such sketches have never been considered high art, but a current exhibition of sketches housed at the Library of Congress shines a spotlight on some of the talents behind these documents. More background and examples from the show at Dangerous Minds; details on the exhibition, which runs through October 28, at the Library of Congress. 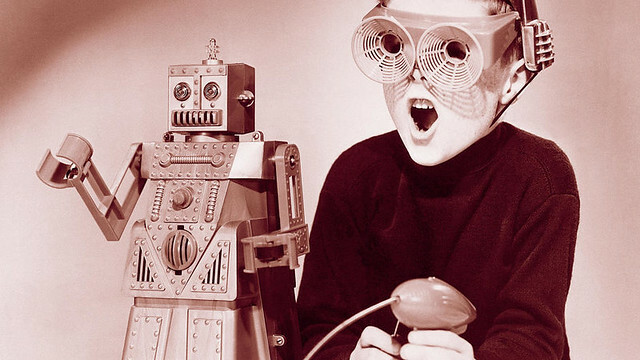 In examining the history of famous robots, you’d be forgiven for overlooking a 1950s children’s toy named Robert. Robert the Robot, who was a product of the once-mighty Ideal Toy Company, didn’t do much, at least compared to the standards set by science fiction at the time. 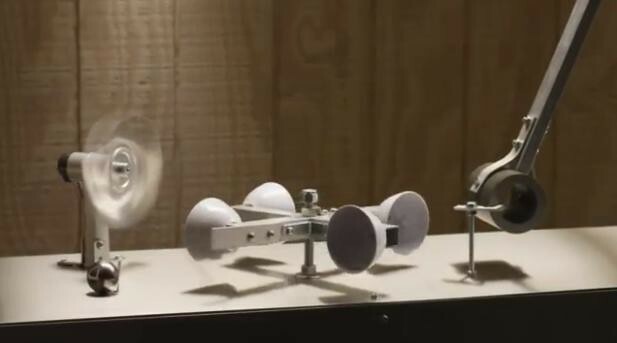 Unlike the helpful humanoids of Isaac Asimov’s I, Robot, Robert was just a 14-inch-tall hunk of plastic that could utter a few phrases, wheel around with a tethered remote control, and grip objects in his mechanical arms. 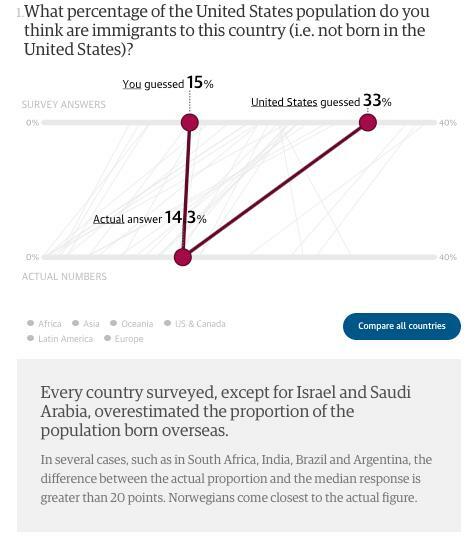 Choose any one of 33 countries, then take the quiz. 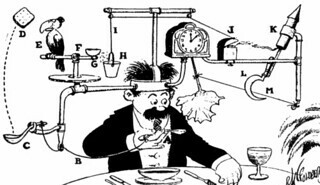 Longtime readers will know of your correspondent’s deep affection for Rube Goldberg (see here and here) and those he inspires (see here). 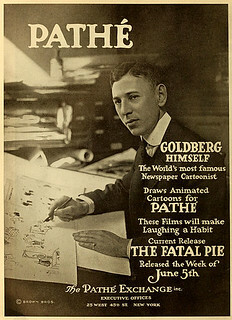 To wit, the above film– the first of a new series– from Joseph Herscher. As we do it the amusing way, we might spare a thought for Blessed John (Johannes, Ioannes) Duns Scotus, O.F.M. ; he died on this date in 1308. 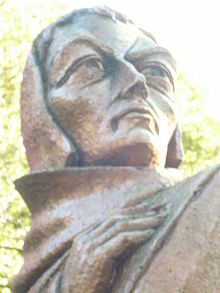 One of the most important philosophers of the High Middle Ages (with his arch-rival, William of Ockham), he was a champion of a form of Scholasticism that came to be known as Scotism. But he may be better remembered as a result of the slurs of 16th Century philosophers, who considered him a sophist– and coined the insult “dunce” (someone incapable of scholarship) from the name “Dunse” given to his followers in the 1500s. As we reconsider our options, we might recall that it was on this date in 1844 that “painless dentistry” was born. The previous day, Dr. Horace Wells had attended a demonstration of the effects of inhaling nitrous oxide gas, conducted by a travelling lecturer, Gardner Quincy Colton. At that demo, Wells noticed that a man under the influence of the “laughing gas” cut his leg, but claimed to feel no pain. 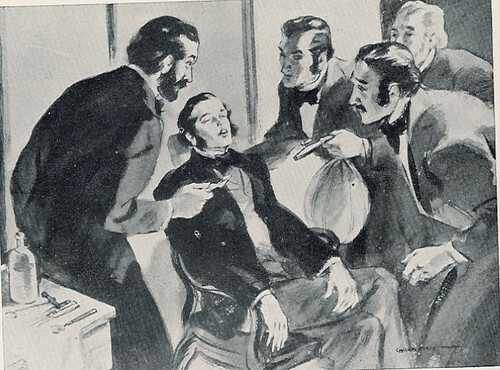 To test the potential of nitrous oxide as an anaesthetic, Wells was his own guinea pig; he arranged for Colton to administer nitrous oxide to him, then had one of his associates (Dr. John M. Riggs) extract one of his teeth. Designer Revital Cohen is fascinated by the relationship of the natural with the artificial. 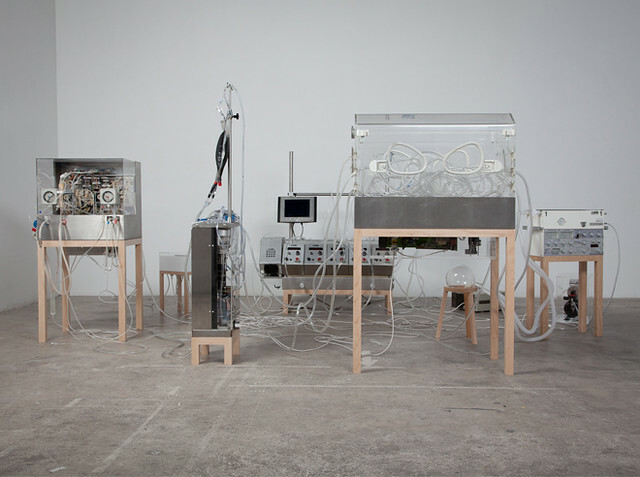 A frequent collaborator with with scientists, bioethicists and animal breeders, she creates objects that are critical, provocative… and all-too-plausible. See more of The Immortal here, and more of her other pieces– the genetic heirloom, the electrocyte appendix, et al.– here.